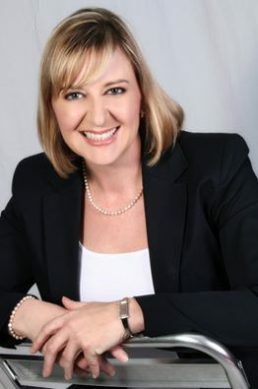 Angela Conway (CA (SA)) is CEO for a regional Contract Research Organisation based in South Africa and working across the African Continent. Angela has over 25 years experience in various operational and strategic roles within the Pharmaceutical and Clinical Research industry, handling full service studies across the therapeutic spectrum from Phase 1 , first in man studies through to phase 4 observational studies. After completing the National Diploma in Hotel Management, Angela went on to complete a Bcom degree with honours in Industrial Psychology. This was followed by a Bcom (Hons) in Finance, whereafter Angela sat her Board exams and qualified as a CA (SA). Angela also has a Postgraduate Diploma in Drafting and Interpretation of Contracts. Angela began her career in the pharmaceutical industry, joining Beecham SA Ltd in the HR department. Angela then joined Eli Lilly SA (Pty) Ltd in 1993, where she held positions in Human Resources and finance including Financial Accounts Manager , Financial Analyst and Business Development Manager. Angela was a founding director of Batswadi Pharmaceuticals assuming the position of Chief Financial Officer Officer responsible for HR, Finance, Operations and Corporate Governance . When ACRO was established by Batswadi in 2007 , Angela moved over to the Contract Research Organisation and has gained experience in areas of strategic management, risk management, legal, treasury, corporate governance, HR and Finance . Angela has represented Eli Lilly at IMSA and ACRO at PIASA, both key Industry organisations. Angela was active on a task team at Endeavor SA, identifying and refining the process for talent management in organisations and has presented on talent management for up and coming entrepreneurs. Lifelong learning is one of her key beliefs and training and development is encouraged at all levels of the organization . Angela is responsible for covering countries across the African Continent.